As my mate Sharen says, the hardest part about this recipe is waiting six weeks before you can drink the Schnapps. 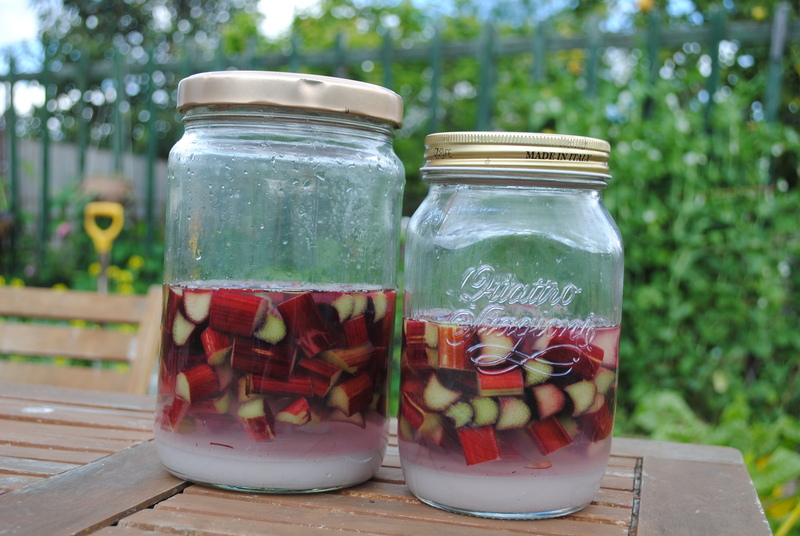 You can use cheap vodka but I’d suggest using organic or homegrown rhubarb, as it is always vastly superior to the conventional stuff. Once the wait is up, strain the Schnapps into a jug and pour it into your litre bottle. And there you have it – Rhubarb Schnapps. As with vodka in general, keep the Schnapps in the freezer, bringing it out for special occasions (when I’ve bottled up, I’ll post a picture here). 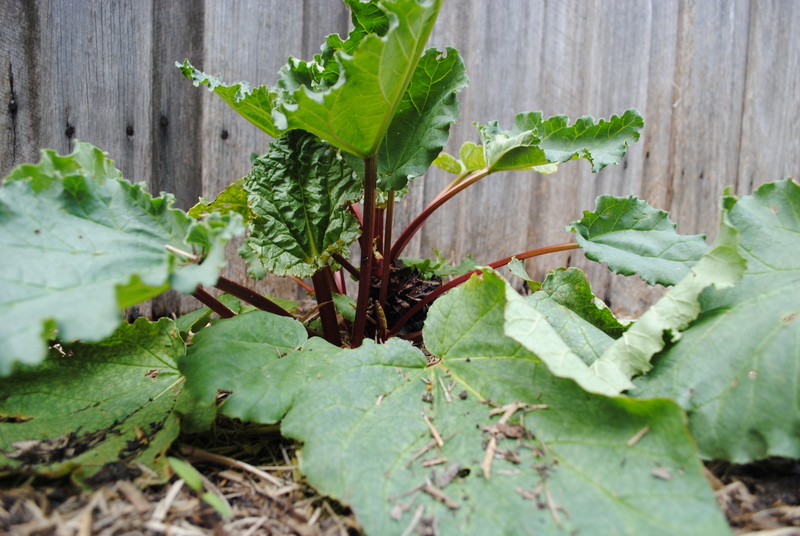 Rhubarb: There are countless good reasons to grow rhubarb in your garden, not least the possibility of an endless supply of Rhubarb Schnapps.